Can we expect changes in the organizational structure of law schools to result in changes in the kind of scholarship they produce? This paper opens up that question and suggests an affirmative answer, putting forward the example of the United States. In American law schools, it is argued, the institutional structure set up by C.C. Langdell and the theoretical orientation laid by O.W. 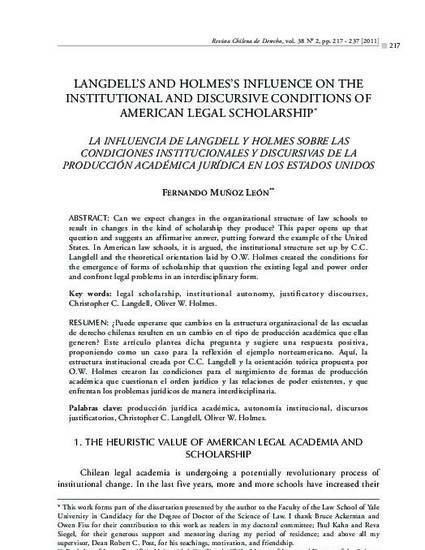 Holmes created the conditions for the emergence of forms of scholarship that question the existing legal and power order and confront legal problems in an interdisciplinary form.